Discover our perfectly crafted Russian wedding rings. Each interlocking wedding ring is set with a dazzling arrangement of diamonds. 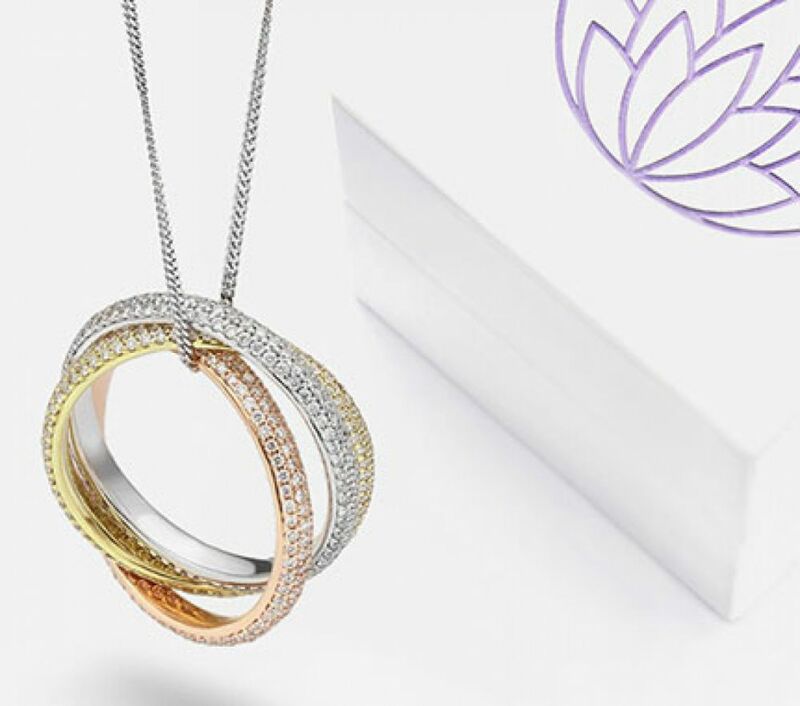 Choose from a variety of diamond setting styles in a choice of precious metals including Platinum, Palladium, White Gold, Yellow Gold and Rose Gold. Choose one colour for your interlocking diamond rings, or select a combination of three colours. Russian ring styles are worn together so that the bands overlap. There are many different variations of style, but most are created in three colours of gold (typically 18ct White Gold, 18ct Yellow Gold and 18ct Rose Gold.) The meaning of Russian wedding rings comes from the Holy Trinity, or the association with love, hope and faith. Alternatively, the ring set may represent past, present and future. This type of interlocking ring design consists of three slim bands, each interlinked. You cannot separate the set of rings, which are worn together in unison. What Styles do Russians Wear? A wedding ring worn in Russia is very similar to our own styles. Usually a single plain gold band. This echoes the continuity of love and is worn on the third finger of the right hand by contrast to our own tradition. During the 1800's the three band 'Russian Wedding Ring' or triple rolled ring was introduced. The popularity of this design has become widespread and remains a popular ring style in its own right. Many styles of this kind of ring are interlocking plain styles of wedding band without diamonds. For this specific section, we have introduced a beautiful selection of triple roll rings, set with diamonds. From channel settings to grain settings we have three designs, similar but each uniquely styled.